On Wednesday, February 29, 2012, former Monkee Davy Jones passed away from what is believed to have been a heart attack at age 66 – 66 was the same year he and his band surfaced on the music charts with their first number one hit “Last Train to Clarksville.” Jones’s charming grin and British accent won the hearts of millions of fans on the 1960s television series The Monkees. Besides having been a fan since age four, I have been involved with several projects for Jones over the last fifteen years: writing music reviews, tracking down recordings for compilations, researching info for liner notes, even running his merchandise table at his concerts. 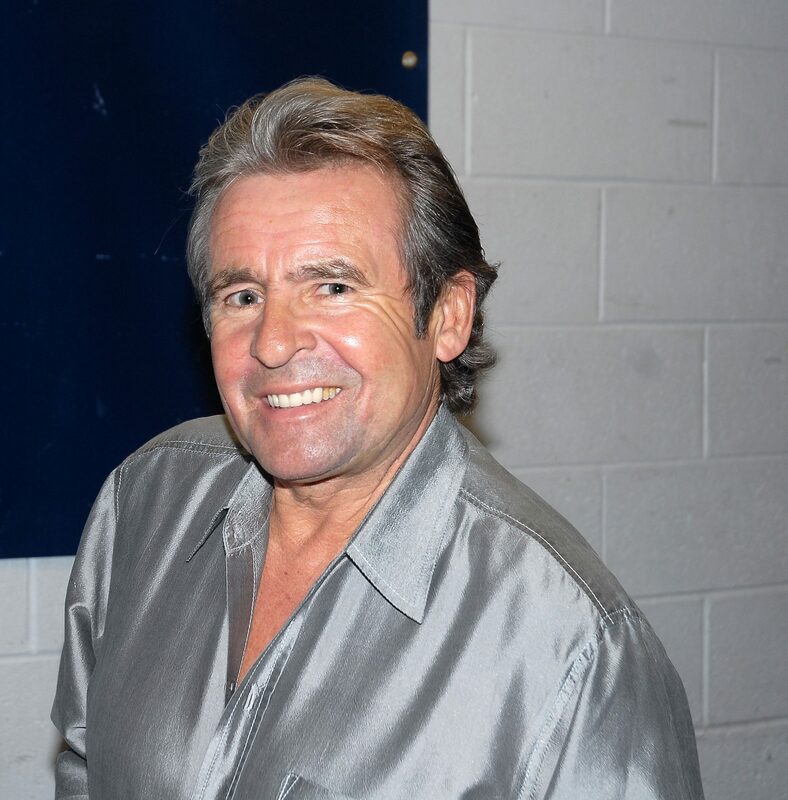 Davy Jones was very warm, caring, and generous – just like his character on the show. He would even give away the clothes off his back – I know, because I saw him do that for a fan who commented on his sweater (thank goodness he had a T–shirt on underneath). For those who knew him, there was another side of Davy that many fans never got to see – his love of family and his love of God. I felt it only fitting to share some of this as my way of saying goodbye to a talented man that I’ll deeply miss. Husband, father, son, jockey, producer, director, actor, author… the Manchester boy, original Artful Dodger in London’s West End production of Oliver! and former Monkee, David T. Jones had done it all. Jones’ ability as a musician and song crafter, however, had been overlooked by many. This had to do with Jones auditioning for and getting a lead role in a TV rock’n’roll band that was often sneered at by critics as “a manufactured image.” Although The Monkees once sold more records than The Beatles and The Rolling Stones combined, they may never make the rock ‘n’ roll Hall of Fame. 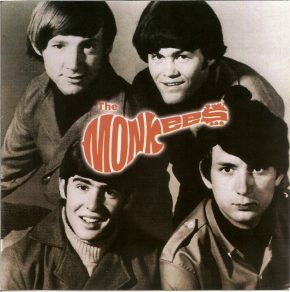 Prior to The Monkees, Jones released a full-length album and a few singles on the Colpix label. Jones was going places, and he would’ve been an achiever whether The Monkees had happened to him or not. Factoring in his skills as an arranger, choreographer, composer, dancer, set designer, guitarist, keyboardist, percussionist (“the world’s greatest tambourine player”) and vocalist, Jones rated as an artist of considerable depth. As a private man who had become very public, Jones’s music reflected his personal life and, to an extent, his spiritual life. One of his most popular Monkees songs is from the first album, “I Wanna Be Free.” The song accurately described his life as a Monkee. We can all relate to the lyrics…we all yearn to be free at times. At first listen it seems to be a simplistic lament from a young person being bruised by hard choices. But the gentle melody probes man’s basic questions about meaning and self-validation in an overwhelming universe. The lyrics pose part of Everyman’s perennial chase for personal liberation. Christian ethics and references had been a constant thread in Jones’s life. When Jones was in his storytelling mood, he would tell how his youth revolved around the church. His family was poor, and the church became the centre for community and recreation. The Monkees showed reverence for Jesus in their music and on their television show. In 1967, they recorded Riu Chiu (a 16th-century Spanish hymn) for their Christmas episode. Just like The Beatles, The Byrds, Simon & Garfunkel, and all the other youth-oriented music acts of the time, The Monkees made it OK to have a relevant thought about God and incorporate it into their music. And not just in the music. In the Monkees episode “The Devil and Peter Tork,” Peter Tork sells his soul to Mr. Zero (aka the devil) in exchange for the gift of music. As expected, the other three Monkees come to Peter’s rescue. The four Monkees and Mr. Zero end up in the devil’s courtroom. Davy, holding the Bible, addresses the judge and jury saying, “Can I interest anybody in taking a quick peek at this Book here? It’s been on the best-seller list for many years.” The episode ends with Michael Nesmith giving a powerful speech on love. After the Monkee experience ended in 1970, Jones walked his own path of recording and writing. He originally intended to release what could have been a redefining production, an acoustic guitar-oriented collection of his originals and choice covers by Bob Dylan, Paul McCartney, Harry Nilsson and Randy Newman. But his record company, which apparently wasn’t interested in artistic liberty or Jesus, rejected his master. They then cornered Jones (who was under contract) into a formulaic album that prolonged his status as a “poster boy.” His appearance on The Brady Bunch television show that same year made Jones a “teen idol” all over again. Jones experimented with new sounds in the 70s, including country. He worked in a range of theatrical shows, including the role of Jesus Christ in Godspell. Years later, Jones teamed up with long-time friend Chip Douglas, producer of his signature Monkees hit “Daydream Believer,” to create It’s Christmas Time Again, released in December 1991. The album included familiar Christmas classics and hymns. Of particular note is Davy’s narration of the Ten Commandments over the music bed of “Silent Night.” The single “When I Look Back on Christmas” contained additional lyrics by David’s then-wife Anita. Jesus being “the reason for the season” was emphasized on this album. Between 1994 and 1996, Jones got together with producer Johnny J. Blair to assemble Just for the Record, a 4-volume box set that encompassed Jones’s musical career from 1962 to 1996. Unfortunately, one of Davy’s unrecorded written songs, “My Heart Belongs to the Lord” (which I had hoped would surface from the studio one day), is a now a lost gem. We’ll miss you Davy! You’re finally free!